Agile Project Execution is Yokogawa’s methodology for executing all projects in a cost-efficient manner by removing waste and reducing costs. Removing waste results in improved efficiency but also applies to reduction of waiting time in a project, space optimization, etc. One of the key challenges customers face in projects is reducing customization. Customization reduces ease of maintenance during the lifecycle as it increases the need for specialized training of operational personnel. Yokogawa's Functional Design Standards provide the basis of design in all projects, and maximize the utilization of standard functionality. With the release of the new CENTUM VP R6, a solution platform that exceeds the capabilities of conventional production control systems, customers can take full advantage of new features like N-IO (Network-I/O) providing decoupling of hardware and software and the new Automation Design Suite. Yokogawa has been executing projects with a combination of delivery excellence and smart engineering. The functionality of the new release of CENTUM VP enables the convergence of all Yokogawa’s strengths, providing an exciting environment where innovative methods provide completely new ways of cost saving and value generation. This can be visualized in the way project schedules can be shortened, either by starting later or possibly enabling an earlier startup. APEX methodology results in a cost-efficient execution method through the removal of unnecessary tasks (waste) and the earlier shipment of systems to the site by decoupling hardware from application engineering and testing. The illustrated benefits of convergence of new functionalities of the AD Suite and FieldMate Validator, N-IO Hardware, and Agile Project Execution results in tangible benefits including waste reduction and increased efficiency in project execution through optimized design and planning. To maintain its competitive edge, Yokogawa has developed the Agile Project Execution (APEX) methodology. This methodology maximizes the convergence of our vast expertise in project management (delivery excellence), the combination of our central engineering centers with our strong local engineering presence (smart engineering) and the latest advanced technologies applied in CENTUM VP R6. A later start to the project will deliver great benefits in that the design information can be provided at a later date, resulting in the prevention of changes after the project KOM. Once the project has been started, changes can be managed at any time using the new management change function. Decoupling of hardware and software will increase quality and reduce waste. The combination of decoupled hardware and software and the early start of System Independent Loop Check will reduce the risk of handover slippage. Flexibility in project initiation has many benefits for the project teams. This can be achieved by applying methodologies that decouple the hardware from the application delivery. These methodologies include how to introduce changes throughout the project lifecycle and how to develop the application by process area based on P&ID completion and maximizing the re-use of module templates. This flexibility results in cost savings (parallel work tasks, reduced waiting time, etc.) and risk reduction (early start of wiring check on site, design standardization, etc.). Yokogawa paves the way for a new engineering paradigm for the next generation. It is not uncommon for a project to experience backsliding and signiﬁcant rework, all of which affects the TCO (Total Cost of Ownership). Yokogawa's engineering prevents these inefﬁciencies and ensures that our customers reap all these beneﬁts throughout a plant's lifecycle. 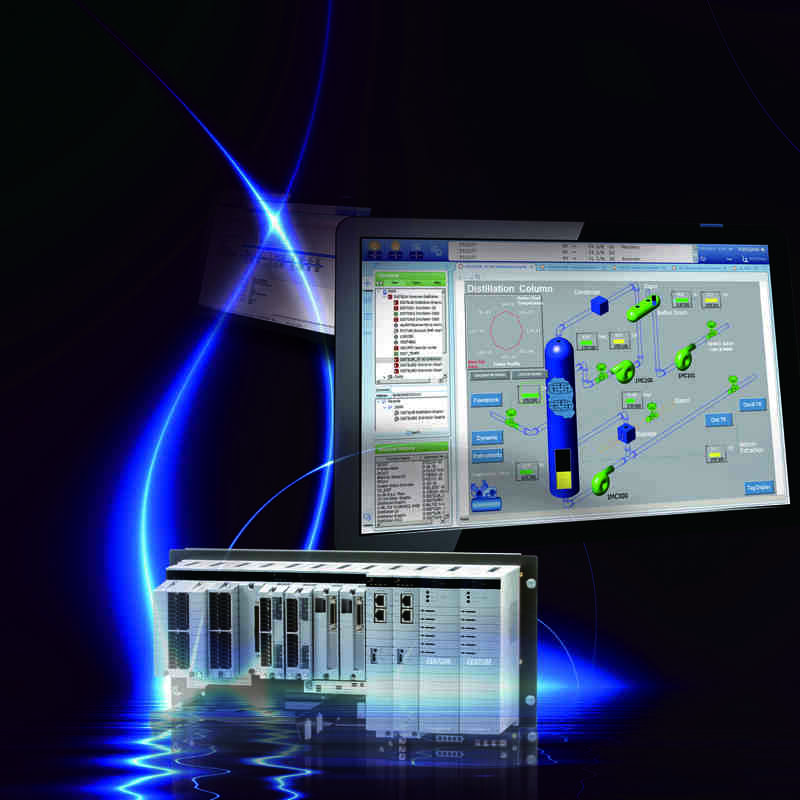 Yokogawa provides smart engineering thanks to three innovative products. Yokogawa achieves early plant start-up & faster commissioning with FieldMate Validator. Mass commissioning of field devices without control station & SW-application is possible. FieldMate Validator is one of the key elements to achieve Yokogawa Agile Project Execution (APEX). After the DCS is sent to a site, design changes are often required due to physical restrictions of implementation or inadvertent miscalculations and these changes can significantly affect the project schedule. Also, shortening the term of a project is an ever-present challenge. Flexible I/O binding, Yokogawa's improved late I/O binding solution, helps overcome these customer challenges. The flexible I/O binding facilitates simple and hassle-free I/O binding. This is made possible by software marshaling and the N-IO's universal channels. The type of I/O and the interconnection between the I/O module and the controller can be modified remotely, which significantly absorbs the impact of last-minute I/O changes. Furthermore, the flexible I/O binding achieves early delivery of I/O cabinets to the site, and problems can be found and fixed on-site at a very early stage. The Automation Design Suite, Yokogawa's new engineering environment, retains the entire engineering history of your plant from the design phase through commissioning and live operation, which ensures up-to-date plant knowledge with every expansion, or hardware and software change throughout the lifecycle. The Automation Design Suite adopts a modular approach to automation design and execution, where process loops, alarm design philosophy and more are deployed as design patterns: downloaded, shared and re-used as standards across the enterprise, saving time and resources. Yokogawa leverages its long history and vast expertise in process automation with standardized, industry-proven engineering modules that span a broad range of processes and functions for production, safety and asset excellence. The Automation Design Suite is more than the 'as built' specifications of your plant ... It provides dynamic management of design, investment and project effectiveness by auditing and versioning engineering changes, and facilitating effective engineering through ModPacks (modification packages). This serves to maintain project schedules by reducing the delays and engineering impact of late design changes or scope changes. The Automation Design Suite also auto-documents and checks inconsistencies in project activity and software resources, removing the difficulties of project management, and significantly reducing project risks. 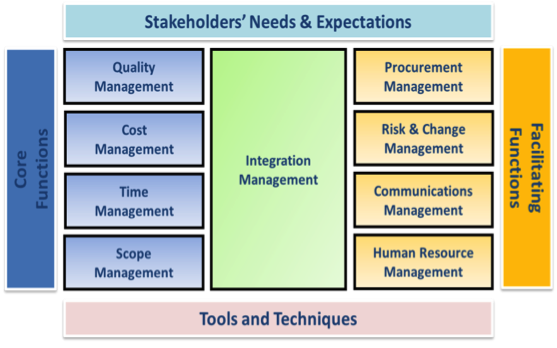 Delivery excellence has been based on the waterfall type of project management and is still used where suitable. Yokogawa adopts the agile project management methodology whenever many changes are expected or where the design of the project is best done in smaller units to test the design philosophy or technology. 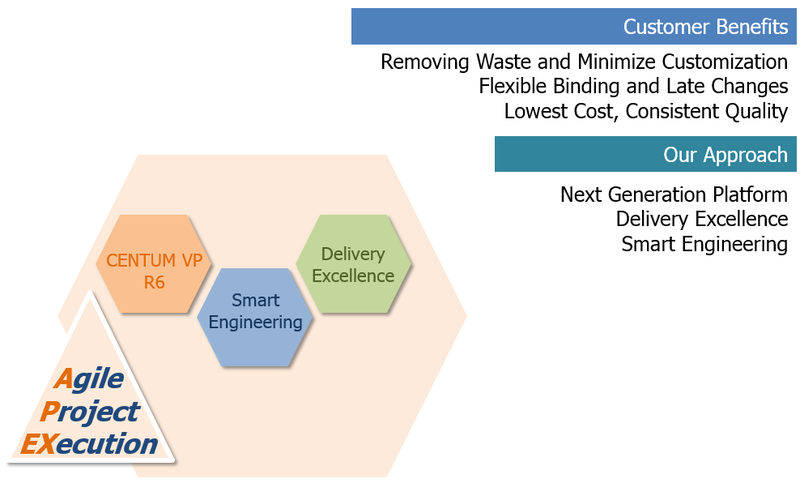 This flexible approach to adopting best practices in execution results in removing waste and reducing engineering surprises, which translates to major benefits to the customer. Integration of the total system, including various systems from other vendors, is optimized by applying standard Functional Design Specifications. These have been validated in previous projects and are updated using the Global Knowledge Management work process. Lessons learned are a key driver of improvement. Risk management and functional safety management (FSM) are rigorously applied and reviewed through global engineering governance. Efficiency is further improved by applying past lessons learned to every new project. This is done by applying the best in class MACToolkit as the basis of design in every project. 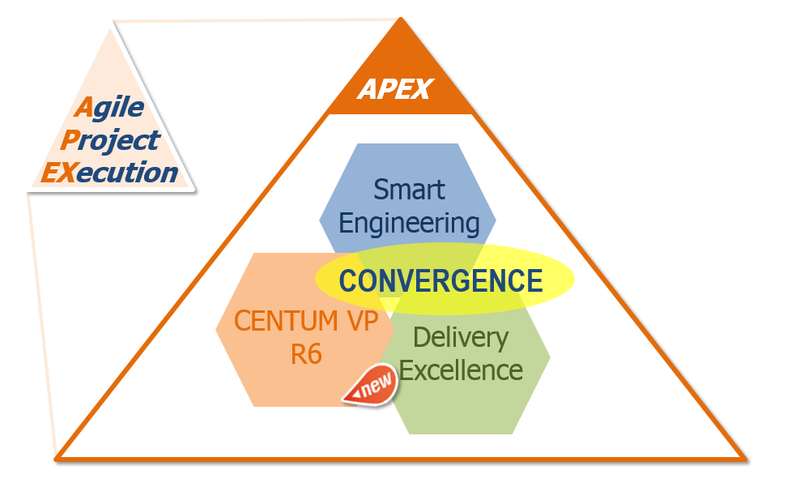 The platform of the new CENTUM VP R6 is released with new technologies developed by Yokogawa based on the best of both worlds. Smart Configurable I/O: The N-IO (Network I/O) is designed with fewer components; one single module can be configured to support AI/AO/DI/DO. The optional signal conditioner can be plugged in to support a wide range of I/O signal types. The backplane allows I/O redundancy by design, thus eliminating additional space for redundancy, resulting in a smaller footprint. Automation Design Suite: This suite was created to enable the delivery of new technologies with a sustainable engineering environment including modular design, bulk engineering, change management, automatic as-built document generation and flexible binding. FieldMate Validator: The validator facilitates early completion of field work without requiring the entire system to be ready at the site. The validator also enables flexible binding with DCS at any stage of SAT. The combination of newly designed technologies and the Automation Design Suite will deliver expected benefits to the customers in a way previously unimagined. Early plant startup is made possible by a combination of flexible binding and the breakthrough design of the new validator. Easy modification is enabled by following agile project execution and using the new change management functionality. Reduced footprint is achieved in many ways through cross wiring with the N-IO, optimizing spares for unit segregation and standard panel design for easy wiring, loop-check and maintenance. Yokogawa's project management services apply industry experience, skills, tools and techniques to project activities in order to satisfy your requirements. By applying process groups, such as startup, planning, execution, control, and conclusion, our project team effectively and efficiently manages the work of a project. We employ a project management framework as the basic structure for understanding project management. It is a well-systematized and proven method for project management, technical transfer and standardization, and delivers increased value. Yokogawa meets stakeholders' needs and expectations by executing nine management processes based on our project management framework. Along with this, Yokogawa carries out project management with a relentless and vigilant focus on the project's success. The Yokogawa Work Breakdown Structure (WBS) is a globally standardized framework for executing the project. The WBS defines a project's work in terms of deliverables and the process phase appropriate to the organization/project. It is also the basis for establishing all steps/tasks, effort, costs and responsibility. The WBS lies at the heart of all planned activities at every stage of the value chain from pre-sales to execution and service. The work processes are based on this structure and assure quality in project execution, identify which technical support is most effective in each task/phase and hence improve overall efficiency. Through the integration of work processes and a smooth handover from sales to engineering to startup, Yokogawa and its customers can consistently reap benefits in the form of higher predictability in project execution. Yokogawa's WBS is more than just the basis for a corporate engineering standard. We can realize effective global project organization through the introduction of the WBS. The WBS is the central framework for improving engineering works, and delivers a common foundation for its project execution capabilities. The Knowledge Management (KM) system is able to facilitate the process of knowledge capture and creation for continuous ongoing improvement of our global engineers. Also, this KM system is able to continue to deliver our best and proven practices over and over again to our customers worldwide by standardizing our engineering approach on a global level. This helps to reduce the cost of developing custom solutions by sharing knowledge for customer's operational excellence.